UR AWESUM MAN!!!! I MEAN....ITS JUST TOOOOOOO GOOD!!!! I SWEAR...UR DEFINITELY ONE F DA BEST ARTISTS I HV EVA SEEN!! !...UR JUST TOOOOOOOOO GOOD!!! ALL THE BEST FR LYF!!! I love the sketch.lovely lines short but sweet. Beautiful sketch. What's the watermark? It kind of spoils the picture, you know. 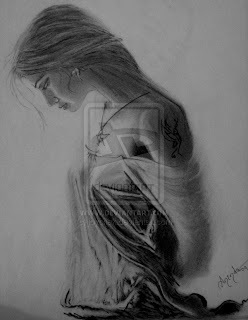 I liked the shading done in your sketch..the innocence and loneliness of stardust is justified! i lv the way u did the cloths..
u gotta go places man..
this is the most amazing of all..